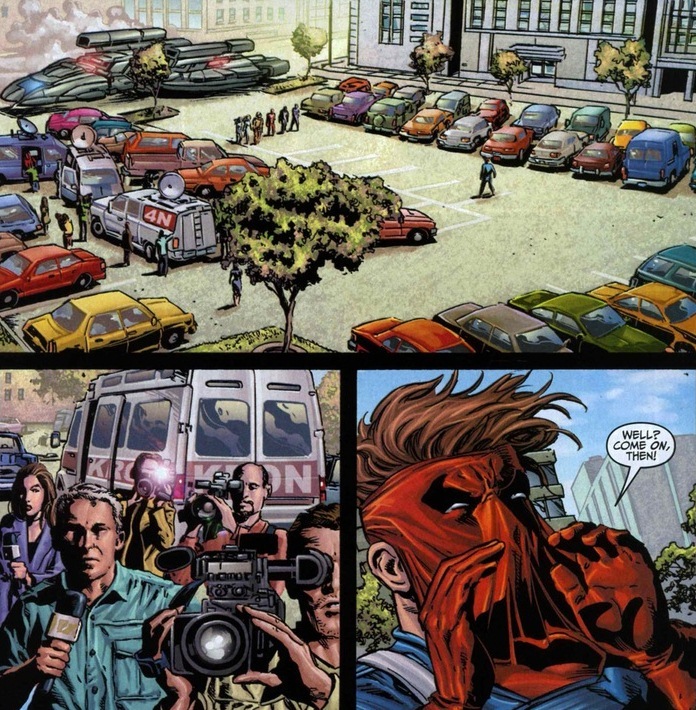 Captain America has had a bunch of sidekicks, most of them grossly over-patriotic. 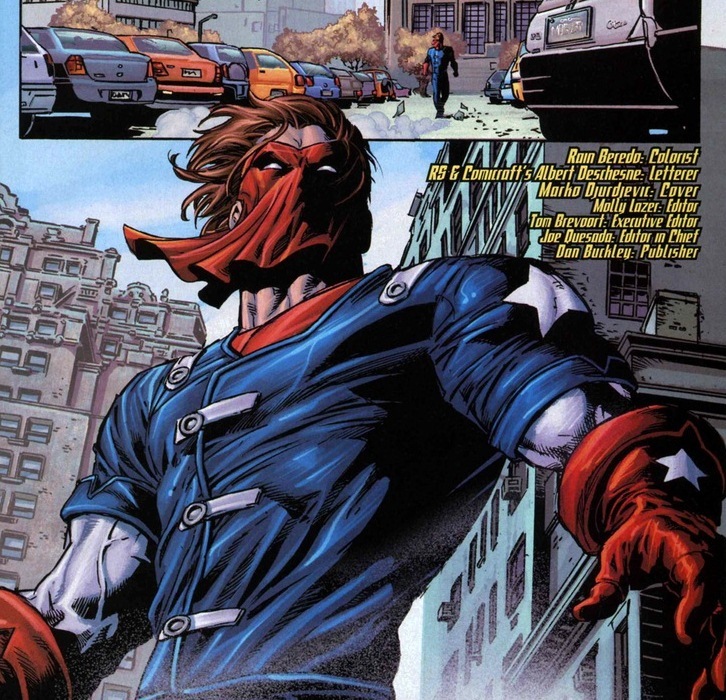 And while all the star-spangled costumers have disappeared from the pages of the Marvel universe, one continues to parade his American ideals around to this day. Not Bucky. He had a terrible run for a while as a Russian communist spy. That ruins some of the nationalist pride. Not Falcon. He’s more of a partner than a sidekick. Equal footing and all that. Jack Flag (real name Jack Harrison) created a citizen’s patrol with his brother in Sandhaven, Arizona. 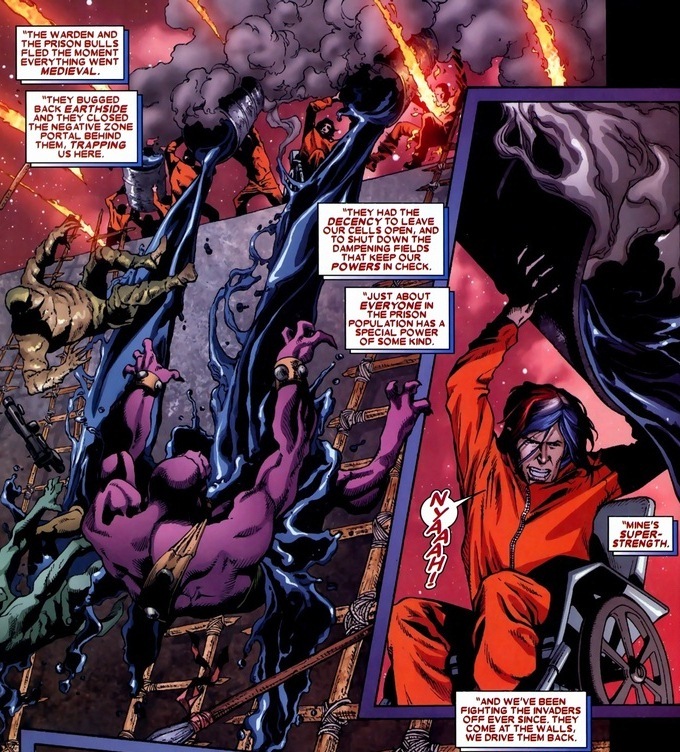 During one of their patrols, his brother was attacked and left paralyzed by the supervillain group the Serpent Society. 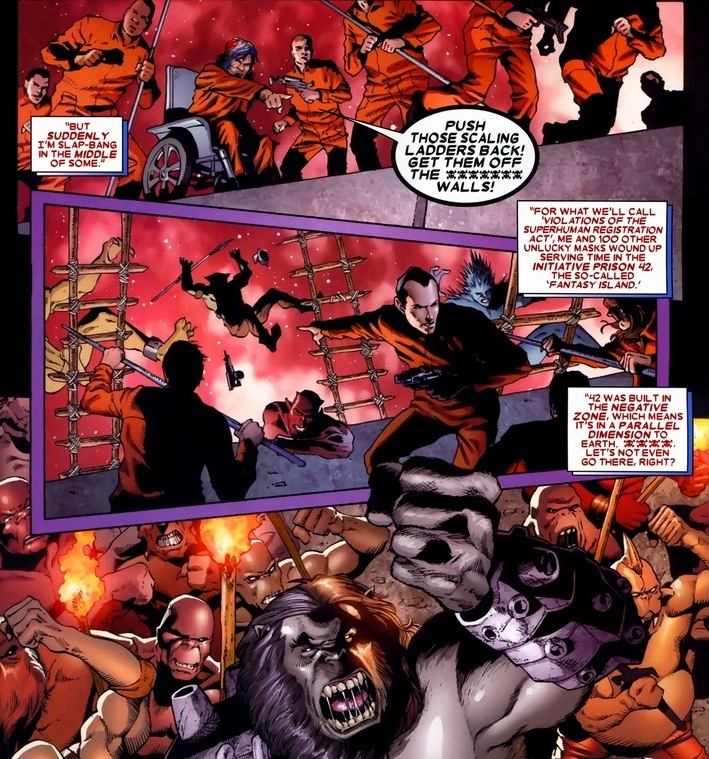 Later, while infiltrating the group, the supervillain Mr. Hyde attacked him and doused him accidentally in chemicals, which of course gave him super strength. After issue #443, he disappeared for twelve years. No big finale, no explosion to save a bus full of babies. Nope, one issue he was there, the next issue it had been like he never existed. 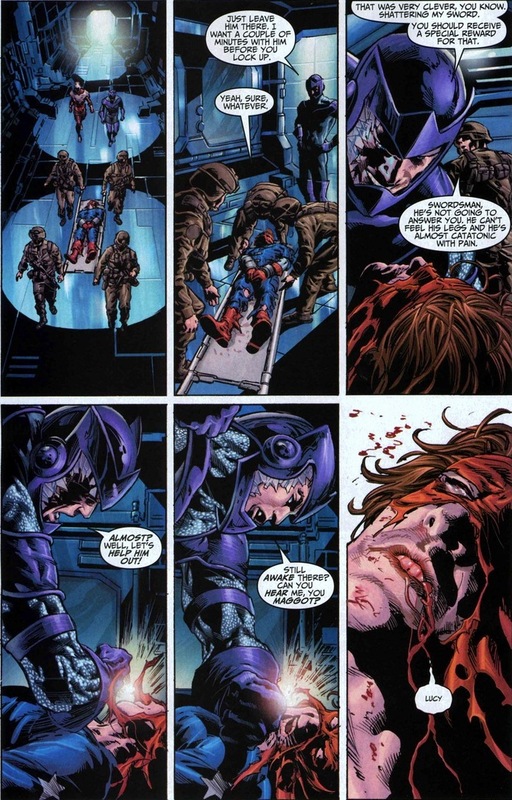 Until Thunderbolts #110-111, written by Warren Ellis and drawn by Mike Deodato. 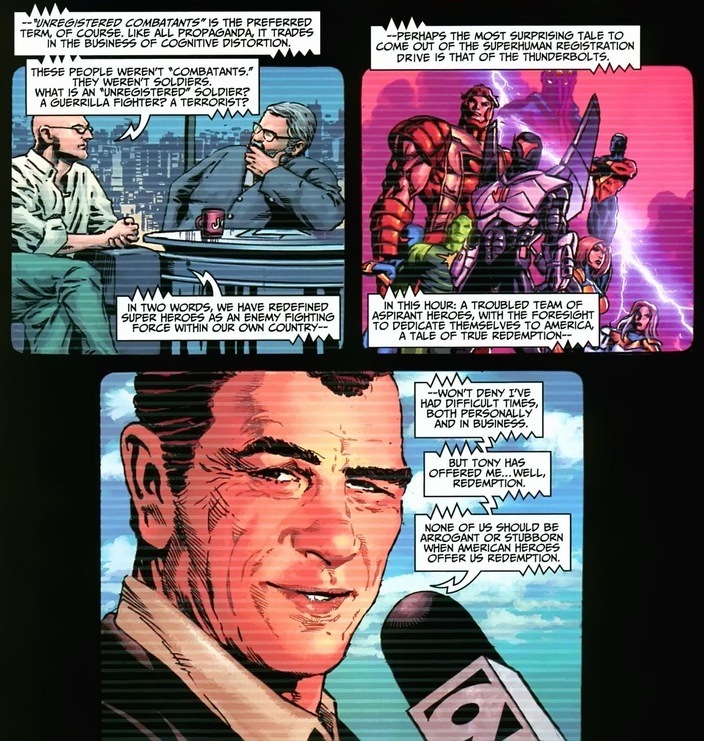 Norman Osborn, seeking a chance at public redemption (though let’s be real, not really), has gotten permission from the current director of SHIELD, Tony Stark, to become director of the Thunderbolts. They’re a team of supervillains plucked from prison, who if they go on dangerous government missions for a year or two, will be granted their freedom. Or not. But they get something out of it. 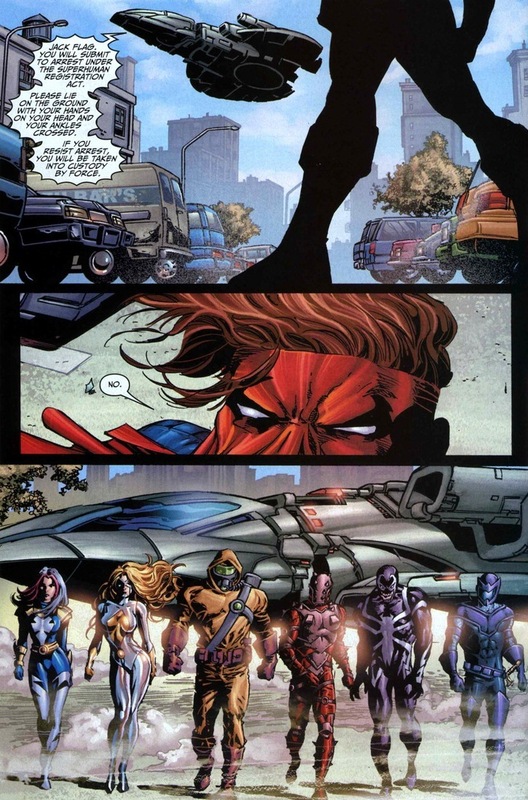 Y’see, because the Marvel Civil War had just ended, the main duty of the Thunderbolts were to capture and detain unregistered superheroes. Y’know, superheroes who kept their identity secret, didn’t work for the government, and went into hiding. Like Jack Flag, living that normal civilian life with his girlfriend Lucy in Cleveland, Ohio. But once a superhero, always a superhero. And the worst part of being a superhero? Crime always seems to pop up right under their noses. Stupid moral responsibility and all that. Unfortunately, with technology what it is, his cover’s blown. I don’t know how, just believe me. 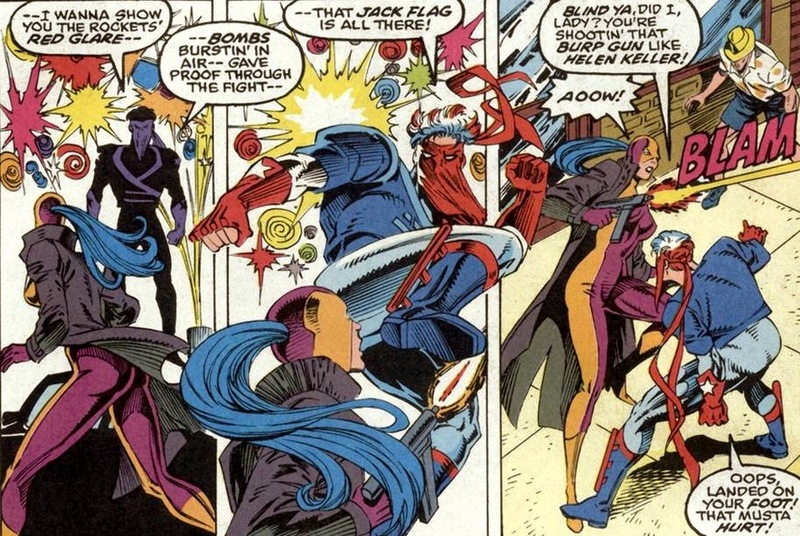 Also, bad timing, as the Thunderbolts premiering for the first time in public, have to make a name for themselves. What better choice than a washed up former sidekick? The best part of showdowns? Of course, the staring down between the heroes and the villains before the punches start flying. Ellis and Deodato do it beautifully here. 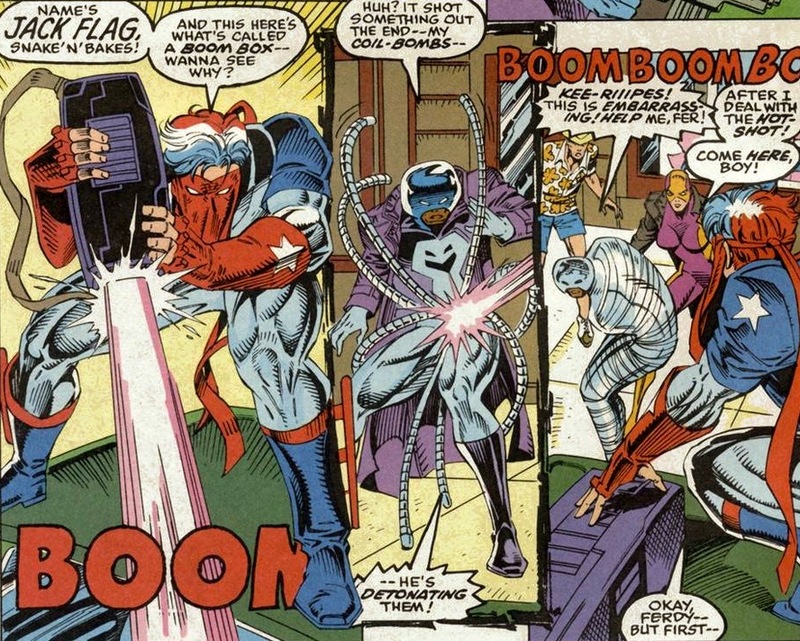 Okay, need a quick overview of the Thunderbolts? I’ll go super quick from left to right. 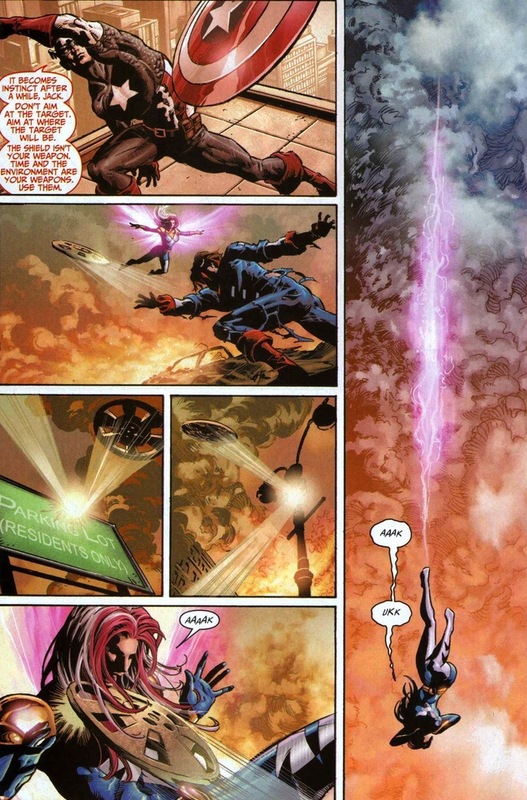 Songbird can fly and create physical soundwaves by screaming. Moonstone has some magical powers like flight, energy blasts, etc. Radioactive Man manipulates radiation. 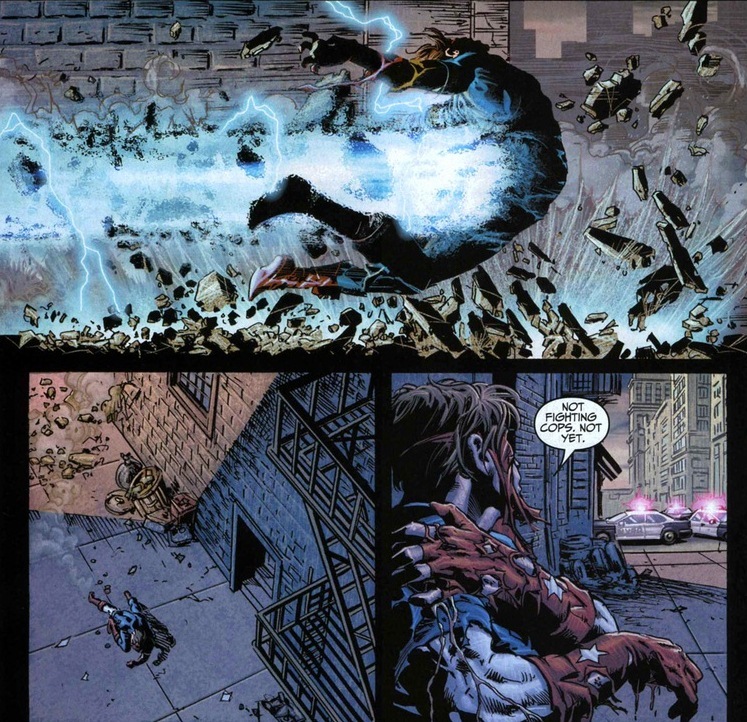 Penance, former superhero Speedball, inflicts pain on himself to shoot powerful explosive blasts. 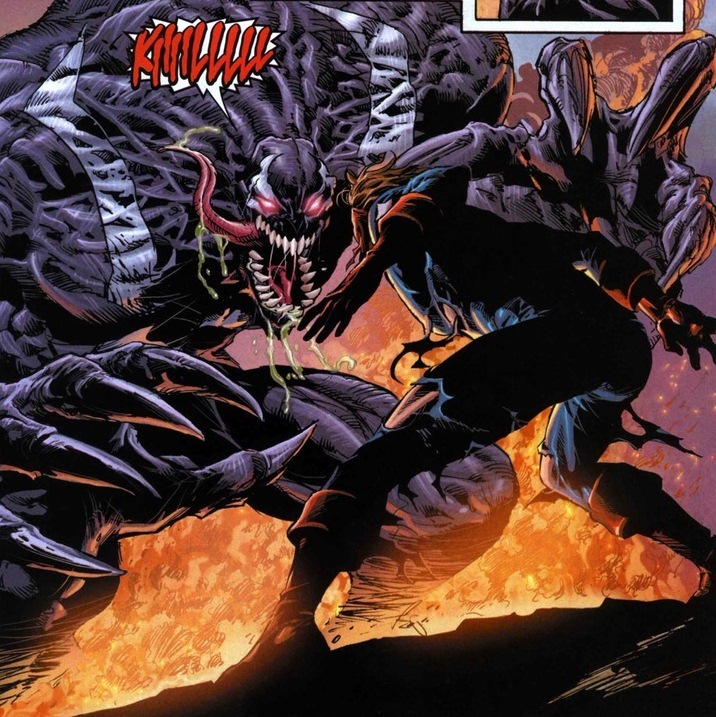 You know Venom, he’s Spider-Man baddie. Finally, Swordsman, former Nazi noble who can create electricity with his sword. 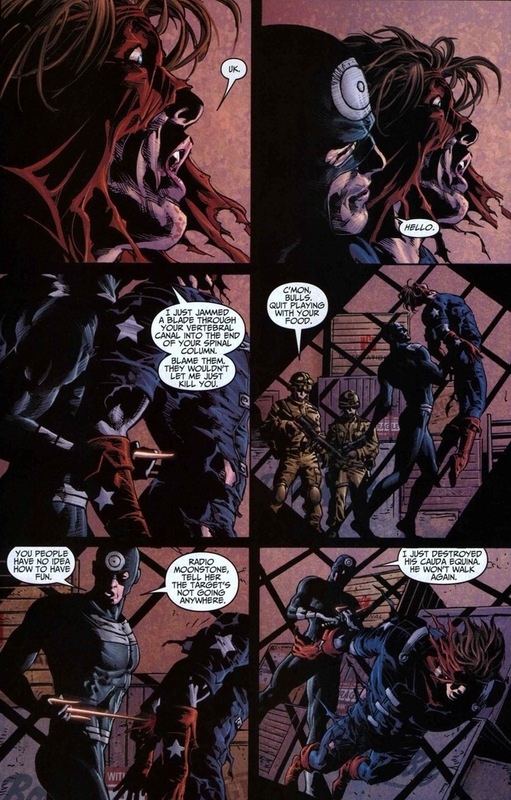 Oh, and the psychopath Bullseye, but he’s never good press so that have to keep him hidden. I’m not going to show you the whole fight, though you do deserve some of the highlights. By the way, odds aren’t good for Jack Flag. 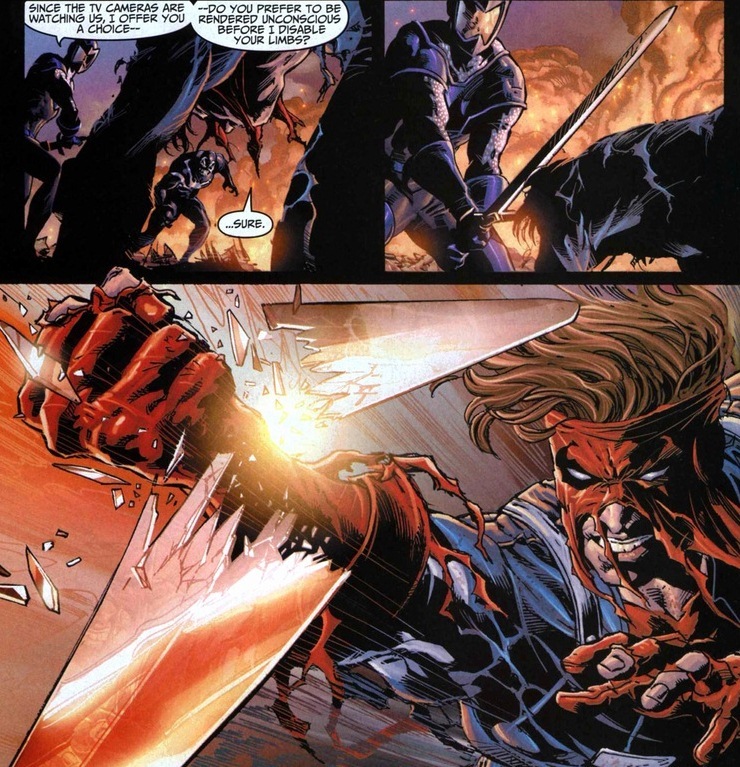 That’s probably why they picked him to subdue for the Thunderbolts’ first public mission. Pretty good so far, right? Too bad Penance is way stronger than he is. So with him properly beaten up, it’s time to flee and live to fight another day. He may be a sidekick, but he isn’t a dumb sidekick. 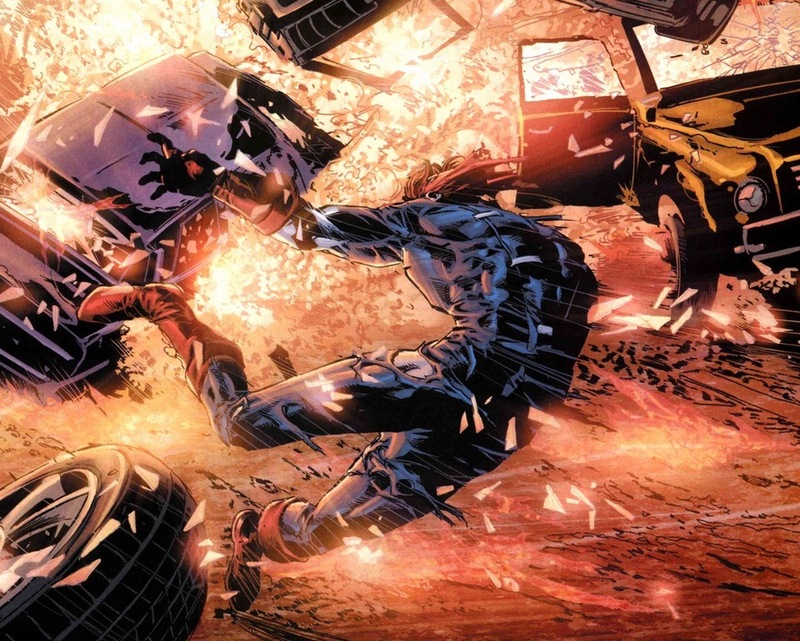 Of course, because this series is called Thunderbolts and not Jack Flag, his escape gets hampered. That jerk Bullseye. Game over. 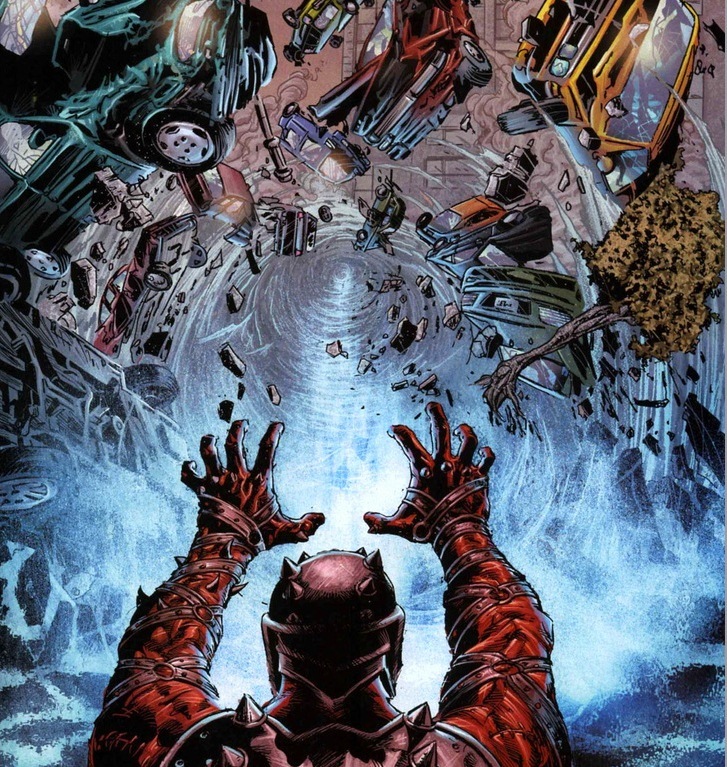 Want to see his final moments in the arc? Luckily for us, Jack Flag returns to comics just under two years later. 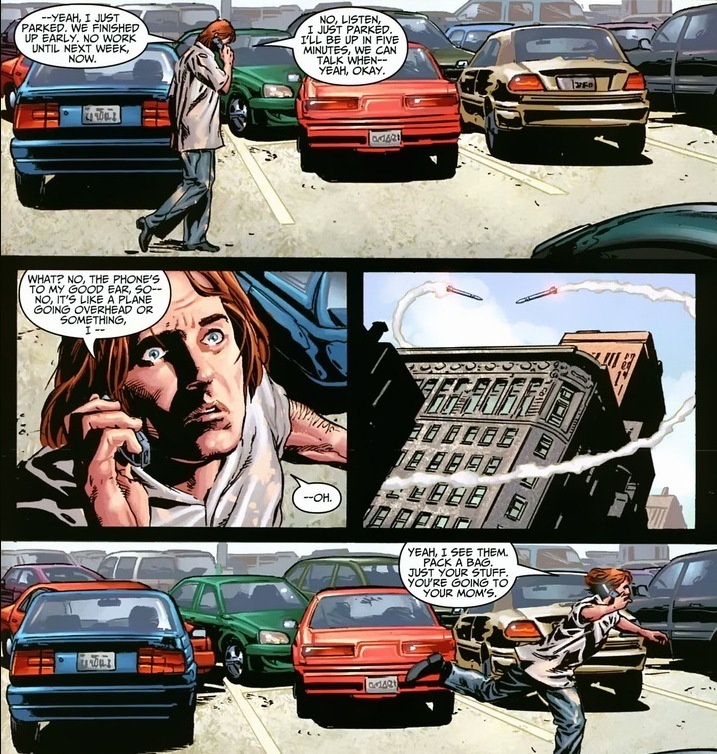 Sadly, the Superhuman Registration Act still reigns strong, and our protagonist sits in jail. Well, the superhuman jail called the Negative Zone. It’s a separate dimension filled with lots of deadly creatures and conquerors. Thankfully, previously working with Captain America does have its advantages, like leadership skills and the ability to narrate large chunks of a few issues of the Guardians of the Galaxy series. So where is he now? 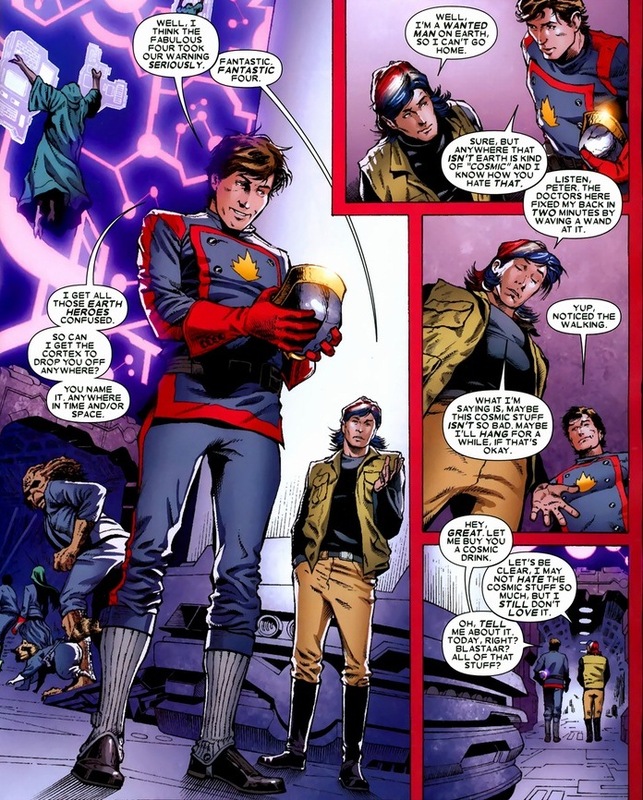 Luckily, working with the space superheroes gives him access to special medicine. 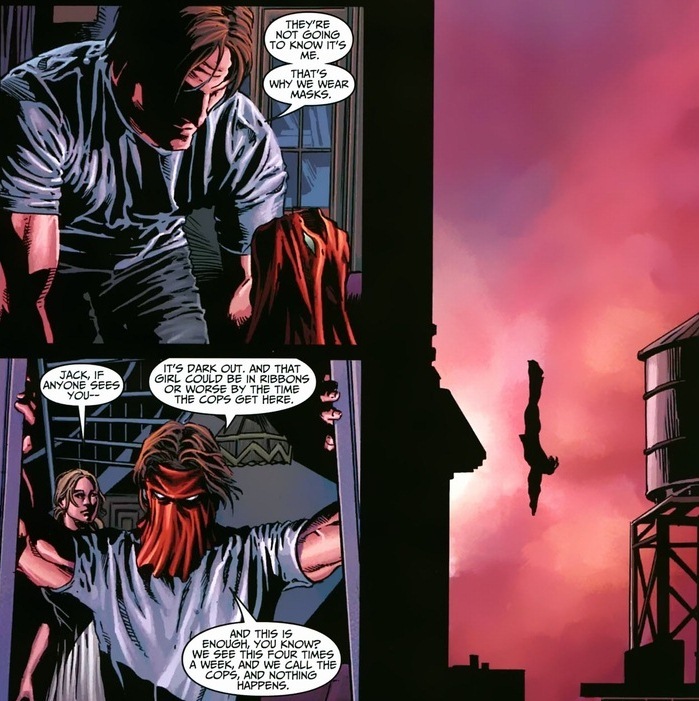 Freshly non-paralyzed and unable to return to Earth, he does the only responsible thing a superhero can do. And he’s been traveling the cosmos for the past two years with the Guardians of the Galaxy. Oh, I don’t know where he found hair dye in the alien superprison either. Your guess is as good as mine.